Presenting its Budget on February 7, the Uttar Pradesh government has earmarked Rs 800 crore for the purchase of the land for the Jewar International Airport. Prime Minister Narendra Modi is expected to lay the foundation stone of the airport later this month. According to Union Minister Mahesh Sharma, the ceremony is likely to to be held between February 23 and 25. With the Union Civil Aviation Ministry giving an in-principle approval to Jewar Airport in April last, the Uttar Pradesh government’s long-nurtured dream to get the national capital region’s second airport inched closer towards reality. The approval by the ministry for an airport in Jewar along the 165-kilometre Yamuna Expressway has come 16 years after the state government mooted the plan. Plans of building the airport further firmed up with the environment ministry giving its approval to the project in June while the state government approving the social impact assessment (SIA) report of the project in September. On the same day, the state also appointed Noida International Airport Limited (NIAL), a special purpose vehicle, to take charge of the project. After approving the SIA report, the state government in October last year issued a notification for the acquisition of 1,239 hectare of land for the project. For the first phase of the airport, 1,334 hectare land is required. Of this, 94-hectare land belongs to the government. The construction work is likely to start by March this year as the state government has already approved the setting up of a joint venture company to acquire land required to develop the first phase of the airport projects. Entities that are part of the JV are the UP government (37.5%), the Noida Authority (37.5%), the Greater Noida Authority and (12.5%) the Yamuna Expressway Industrial Development Authority (12.5%). The first phase of the airport project is expected to be ready by 2023. The second airport in the region will be built at an estimated budget of Rs 20,000 crore. 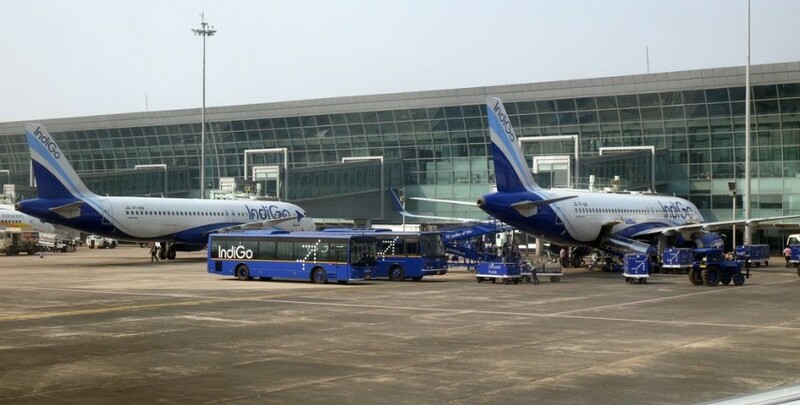 The Jewar Airport will also have an Aerocity on the lines of the one at the IGI airport which will be constructed by the Yamuna Expressway Industrial Development Authority (Yeida), the nodal agency to set up the airport. The Metro link: The Centre wants to connect the Jewar Airport with Delhi’s Indira Gandhi International Airport through a direct Metro link. The Delhi Metro Rail Corporation has already submitted a detailed project report (DPR) in this regard. The Yamuna Expressway Industrial Development Authority (YEIDA) might give its approval to the DPR soon, say media report. The airport will have additional Metro connectivity with the Greater Noida Metro Line. It was in August 2017 when the state government revealed its plans to extend the current Greater Noida Metro Line to the airport site at Jewar. This means the Metro link would be stretched further from Pari Chowk. The rapid rail link: The Chief Minister Yogi Adityanath-led government is considering the possibility of linking the airport with Sarai Kale Khan (a major bus transit station in the national capital) through a dedicated Rapid Rail Transit System (RRTS). In the words of Yeida chief Prabhat Kumar, this rail is faster than the Metro rail due to fewer stations where it needs to stop, and is well suited for the airport. The Yeida is likely to approve the plan in its upcoming meeting on May 7, say media reports. Plans are also in the making to connect the airport with the Eastern Peripheral Expressway. The expressway connects Haryana's Palwal with Kundli, bypassing the national capital. How will Jewar airport impact NCR real estate? Like other major infrastructure projects that benefit real estate markets, the Jewar airport, too, is expected to change the property market dynamics in Noida and the adjoining areas. “It’s big news for the real estate business in this region because the airport will be the biggest job creator here. 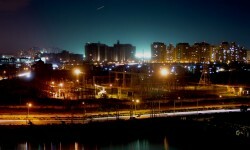 It is a much-needed boost to the real estate sector. We had been waiting for a positive step from the government. Since it will take four or five years to build the airport, this region will become a good investment option,” Confederation of Real Estate Developers Association of India President Getambar Anand was quoted by Hindustan Times as saying. Realtors expect the Jewar Airport to do the same magic to Noida real estate what the IGI Airport did to Gurgaon real estate. Now a Nagar panchayat under the Gautam Budh Nagar district, Jewar was earlier part of the Bulandshahr district in Uttar Pradesh. With a population of 32,269, Jewar has yet to see full-scale development, despite being part of the NCR. Expecting the arrival of an airport, real estate developers have invested heavily around Jewar. However, a recent slump in the property market has led to a huge inventory pile-up. An upcoming airport will positively affect property prices. Since several companies of the United States have also expressed interest in making a maintenance, repair and overhaul centre at the Jewar Airport, rates of property here might climb further up. Why an airport in Jewar? “Many sectors will benefit with the development of this airport, and it will be really beneficial for the people of western UP who have to travel more than 250 km for Delhi or Lucknow airports," UP Civil Aviation Minister Nand Gopal Gupta said. People living in many cities of western UP and some cities of Rajasthan have to travel to Delhi — a journey of at least two hours — if they plan an air travel. An airport in Jewar will be a great help for these people. This airport will not only address the aviation needs of Delhi, but also of cities such as Agra, Mathura, Bulandshahr and Meerut. The Union civil aviation ministry expects this airport to give a bolster tourism and economic potential of the region. According to PwC, the agency that has prepared the techno-economic feasibility report for the project, the Jewar Airport is expected to handle over 10 crore passengers by 2050. 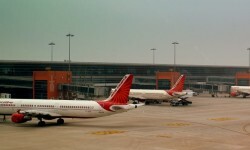 "By 2050, the Jewar Airport can serve 37 domestic and 31 international destinations," it said. Being built as part of the government's regional connectivity scheme, the proposed airport in Jewar is expected to provide fliers affordable options. According to PwC, the proposed airport will not only bring places in Uttar Pradesh closer to the NCR but will also benefit locations in neighbouring states. Once the airport starts functioning, cities such as Shimla, Ludhinana, Pathankot, Bhatinda, Gwalior and Adampur would be benefitted by it, says PwC. To fast-track work, the Greater Noida District Administration (GNDA) would directly purchase landform farmers of 39 villages in the area. This means the land acquisition Act of 2013 would not be invoked in the land purchase process. The Uttar Pradesh government has agreed to pay landowners three times the circle rate for land acquisition — Chief Minister Yogi Adityanath, who met a delegation of 26 farmers on September 19 has in fact hinted at increasing the compensation to speed up the project. While prevalent land rate in the area is Rs 900 per square metre (psm), the government is offering villagers Rs 2,300 psm. Earlier, landowners had threatened they would resort to Bhatta-Parsaul like protest in case their demands on rates were not met. In fact, Yeida Chairman Prabhat Kumar on August 16 said he met over 100 farmers of six villages and tried to clear their doubts regarding the land acquisition. However, if the farmers were reluctant about the issue, the government might drop the project, he had said. "We met village heads and farmers of six villages, where land was proposed to be acquired for the project. They were given offer regarding land rates and other benefits. If they (farmers) do not agree, the airport project might be dropped," he said. Rates of land in the area increased significantly after an airport in Jewar was announced. While a bigha of land was sold for Rs 4-5 lakh in the past, rates have now touched Rs 20-25 lakh a bigha. A bigha of land measures 843 square metre.